Chinese New Year is almost here! What better time to take charge of your skin, right? No thanks to my crazy schedule for the past few months, my skin has really been suffering the consequences. Occasional pimple here and there, dull complexion, ezcema patches, you name it. I got them. Which is why I decided to take up the offer for an aesthetic consultation at Premier Clinic to see what they can do for me. 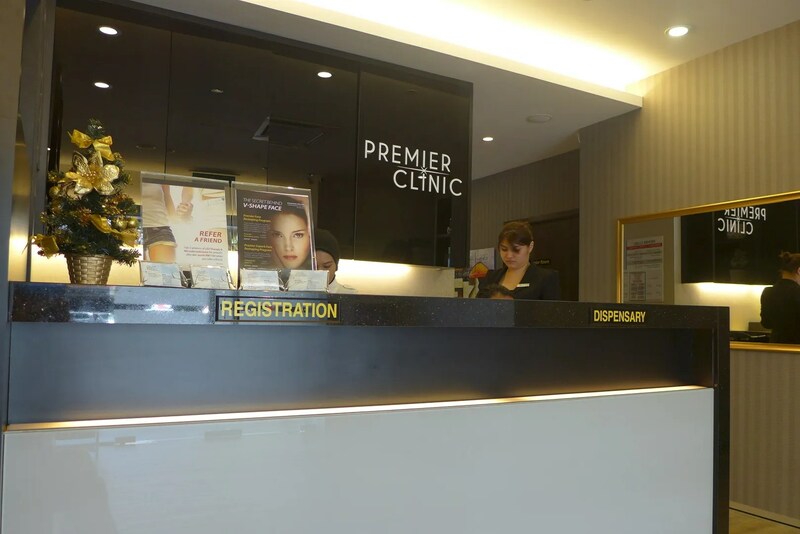 Premier clinic offers a wide range of aesthetic services and has 2 branches; one in Taman Tun Dr Ismail and another in Bangsar. I went to the one at TTDI and my first impression was that the staff and nurses there are welcoming and friendly, making the visit a pleasant one. Dr Aarthi Maria was my consultant and I sat down to chat with her about my various skin concerns. There were a few things I could do based on my needs, but in the end I chose to do something that has completely no down time, seeing I have few gigs in a row following the visit. The top concern for me was my complexion and pigmentation issues and Dr Aarthi Maria offered me 2 options: Fraxel (has down time, much more painful) and Medlite C6 Laser. Both offers similar things in different intensity. Obviously I went with the Medlite C6 Laser; The latest laser technology for skin whitening, pigmentation and dark scar removal. At the same time, it will also help to reduce wrinkles, open pores and even up the complexion. Although as compared to one time treatment of Fraxel, Medlite C6 laser will require few more sessions to achieve the desired results. I have pretty sensitive skin so I’m always worried about having treatment done. 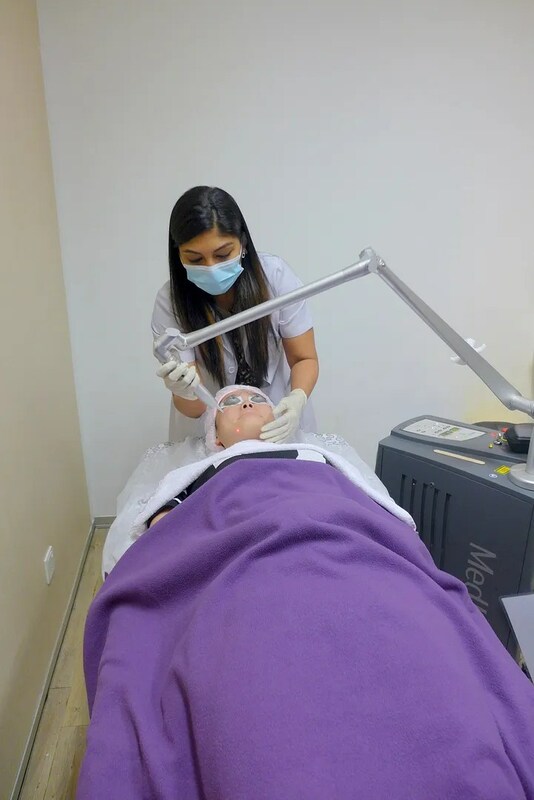 I was assured that this laser is safe for all skin types unlike the older technology such as IPL which can cause burns and redness in some skin types. Not the most flattering picture of me, that’s for sure. The procedure is really straight forward. After reading through more details about the treatment and signing the paperwork, I was brought to the treatment room to prep. There was no need for any anaesthetic because this treatment is completely painless. However, you would definitely still feel something, depending on the intensity of the laser. I would describe it as tiny pinches and slight burning sensation. It was over in less than 10 minutes and I was good to go again. Perfect lunch time procedure I would say. After the treatment, I have just slight redness, which settled down by the evening. The utmost important thing is to apply sunscreen vigilantly after the treatment to optimise results. With Dr Aarthi Maria. Excuse my extremely naked face. It’s been around 2 weeks after my treatment and while my pigmentation is still a problem, my skin is slightly brighter in appearance. Coincidentally, there needs to be 2 weeks break in between session so I shall return for my next one soon. on the same row as Maxis & Pizza Hut. 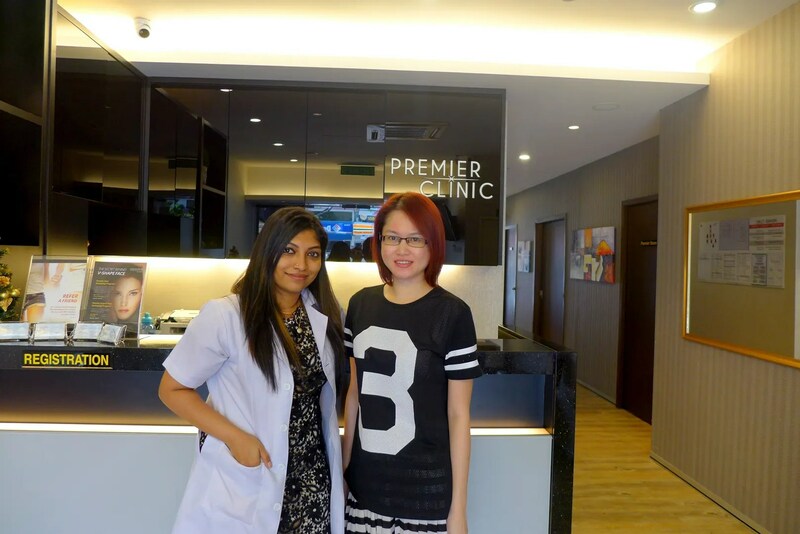 Mediviron Bangsar clinic and Imperial Dental Clinic. Hi Kelly! Dropping by to wish you and your loved ones a very happy and prosperous year! Gong Xi Fa Cai!